The digitisation of everything in our fast paced world has been leaving more and more traditional companies behind. Those who have failed to adapt quickly enough to the transformation of traditional forms of physical media. Print media is possibly most affected in this transition period, where niche magazines struggle to stay afloat due to falling advertising revenues, contending with the never-ending stream of free content online. I have fond memories of attending the Golden Joystick awards way back in 2009 for the gaming website, This Is My Joystick. Future Publishing had taken the unprecedented step of creating a “Digital Media Room” and embraced the change in journalism, rather than work against it by inviting writers of smaller gaming websites and magazines. I found this incredibly forward thinking of Future. They understood very early on that by working with smaller websites and bloggers you could spread the word very quickly, and make the event a massive success. 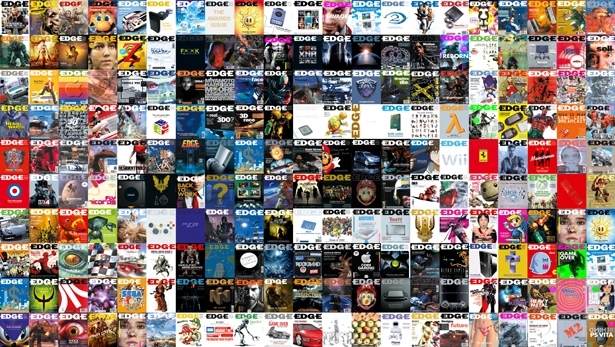 Back in 2009, this was possibly the first example of brand advocacy that I can recall and it seemed that the publishing giant behind Edge, PC Gamer, and GamesRadar was leading the way in the world of digital, for these reasons alone. So I was sad to read that Future posted a £30.6 million loss in the first half of the fiscal year, and has announced plans to reduce its headcount by 170 in the UK. MCV also revealed that Future is proposing to close CVG, Edge Online and the websites for Official PlayStation, Official Xbox and Official Nintendo. It’s also planning to move all games business to its Bath offices from London in order to save money. CVG, OXM, Edge Online proposed for closure. This is a very sad week for games journalism as magazines we grew up with are beginning to disappear. Left behind is a handful of sites attempting to focus on written content as more and more jump on the ‘video content is king’ bandwagon for the surging visually-inspired generation. Now there is a strong argument that people no longer need a publication of any kind to tell them if a game is any good or not when they can take a look on Twitch and make their own mind up. This illustrates just how much things have changed. As users, we are partly to blame. We now consume content at an unprecedented rate by loading up news reader apps such as Flipboard, Pulse or News 360. With these, we have a never ending stream of up to the minute news on any topic that we are interested in. With such resources, why would anyone pick up a physical or digital magazine for nearly £5 that is essentially out of date by the time you feast your eyes on it? We now expect news and content for free and avoid paywalls and paid-for digital subscriptions like the plague. I guess it’s no surprise that so many publications are falling on hard times. Apps such as News 360, Flipboard and Pulse provide a constant stream of gaming news that magazines cannot compete with. The golden rule online is to offer something of value. On a positive note, it is fantastic to see a growing number of indie websites and blogs who continue to offer an undiluted and unbiased opinion that people can trust. These sites have a built a reputation on honesty and integrity for the most part, which ultimately puts the customer in control as the media landscape completely transforms into something quite different to the business models of the 80’s. Indie websites have capitalised on the relationship between the writers and their readers, one that is based on trusted, uncorrupted editorial guidance and shared values. I believe that most magazines began to fail when they concentrated on pleasing shareholders and advertisers, rather than the readers. With Future publishing revealing new strategies, concentrating on advertising space rather than proper content, this will ultimately benefit nobody because you need quality content and engagement with your readers for any form of advertising to be a success. On behalf of Expansive, my sympathies go out to Future’s editorial team and for anyone faced with the distressing prospect of redundancy. If only the bean counters would occasionally listen to the writers, then maybe all of this could have been avoided.